A huge majority of caravan, motorhome and campervan owners only get to use their precious memory making machines a small proportion of the year and that's where we come in. Camplify gives you the platform you need to earn extra cash whilst your RV is sitting around gathering dust and once you've created your free listing with us all you need to do is accept the booking requests that start rolling in. You get to choose WHEN you hire out and WHO you hire out to, you have control. And if you haven't already got hire insurance, we've got you covered there too! 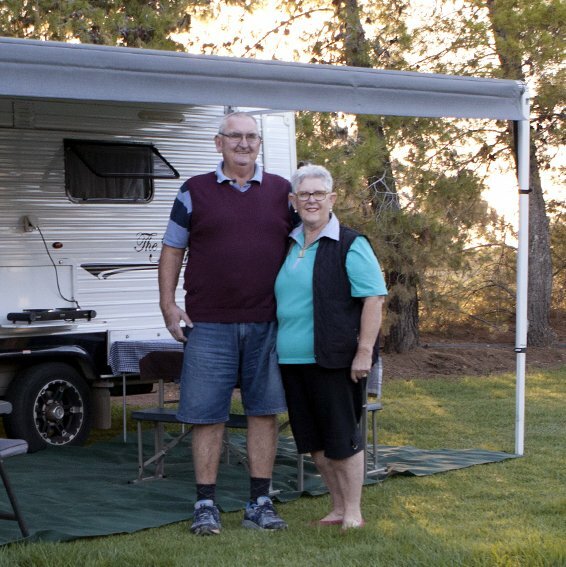 Every year, RV owners in Australia spend millions of dollars on registration, insurance, storage and maintenance fees. Did you know... the average owner of a caravan, camper trailer, motorhome or campervan only uses their freedom machine for around 6 weeks per year? With over 500,000 registered RVs in Australia, that's a lot of RVs sitting in driveways. Or worse, costing you money in storage. Now, with Camplify, you can hire out your RV while it's not being used and earn some great extra income. You also get to help others experience the joy of camping! Create a free account here , answer a few simple questions and get access to the Camplify Dashboard. Hit the "Hire Out My RV" button, step through our easy process, upload some photos, or request a free photographer to take photos of your RV. Set your variable rates for standard hire periods and school holidays, along with your own hiring rules. Once you're set up on the Camplify Dashboard, you can login and manage your RV listings easily and securely, 24/7. When your RV is listed on Camplify, approved holidaymakers contact you via our messaging platform. You can ask any questions you like of the holidaymaker and decide whether you are happy to hire your RV to them. You then approve the booking request through your dashboard. We have loads of great stories about expert owners who have joined the Camplify community and are earning some fantastic money hiring out their caravans and RVs. Here are just a few. 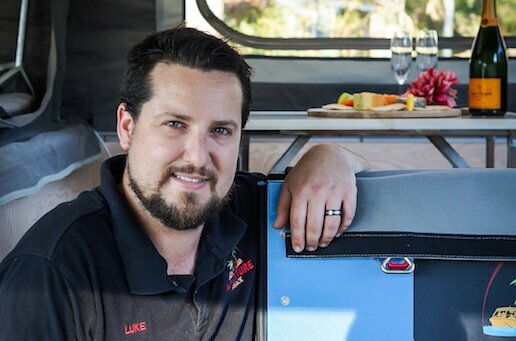 Based in Brisbane, Luke began his Camplify journey with two camper trailers. With both trailers in high demand among hirers, he bought a third trailer after just two months and today continues to seize the investment opportunity at Camplify. 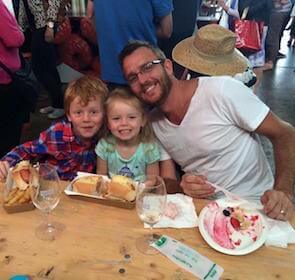 Chris was an early adopter of Camplify. Due to the size of his van, he made the decision to only drop it off around the Sydney area. Chris' luxury van, The Kaptans Outbacker, is regularly hired through Camplify. Betty and her husband heard about Camplify and decided to give it a go. Within just two days of listing her van, Betty received a booking from her perfect customer. We screen our hiring members before they can hire an RV, so you can be confident in listing your caravan, campervan, camper trailer or motorhome on Camplify. You can feel at ease knowing that any holidaymaker who contacts you via our system has passed our validation process. We are committed to sending only responsible hiring members your way. You have full control of every hire enquiry. Through our system, you approve every request to hire your RV. This means that you have the final say on EVERY hiring request. If you don't feel that someone is qualified to hire your RV, you don’t have to accept their request. If there are any problems, you can call and speak with someone from our member experience team. How much can you earn hiring out your caravan? All you need to list with Camplify is have comprehensive insureance for your RV with any provider in Australia. Once you have this you can choose the Camplify Hire Top up Insurance as an added insurance premium to cover your RV while on hire. Prices start from less then $6 per day. To find out more see our insurance page. What If I Don't Want Someone Towing My RV? Camplify holds a $1000 security bond for all hires that take place through our system. By using our post hire and pre hire checklists you can record any damage that occurs and submit a breakage claim. Our team will assist with working through with the hirer and recovering your costs. Any damage over $1000 will be claimed via insurance, this way you are never out of pocket. It is totally free to list with Camplify. We only take a small 5% commission when your RV is hired out.